Uncontested Divorce: Do You Have to Use a Mediator in Chicago? There are many choices to make once you and your partner decide to officially end your marriage. First, know that not all divorce cases are resolved in a courtroom battle. A couple can indeed divorce without each obtaining a lawyer to litigate for his/her side. Instead, spouses agree upon an uncontested divorce. You can obtain union dissolution with or without divorce mediation in Chicago. Before you choose whether or not to have a mediator, you need to know the definition of an uncontested divorce. Both spouses must agree on all aspects of their divorce to render it uncontested. This means both parties come to a consensus regarding every issue in their case. These might include property distribution, debt settlement", custody and support of any children and whether alimony will be paid by either spouse. Uncontested divorces are generally more private than contested cases in which filings in the court become public record. Uncontested divorces also tend to be less expensive and more speedy from start to finish than the alternative. Also, many people believe that an uncontested divorce benefits the children of the couple as it is generally more amicable than a contested divorce. One misconception regarding an uncontested dissolution is that the participants must immediately agree upon any and all aspects of the divorce. Participants in this type of divorce, instead, negotiate between themselves to make decisions. Both partners do have to commit to working together to achieve a successful outcome. This is where a mediator is often extremely helpful. A Chicago divorce mediator, who might or might not be a licensed attorney, helps facilitate communication between the parties. This is helpful because emotions are often high when a couple decides to end a relationship. A neutral party works to keep conversations reasonable and on track. He can identify and assist when a couple engages in long established patterns that hinder useful conversation. A qualified mediator knows how to identify the primary and secondary aspects involved in legally ending the union. They use their skills and education to educate and guide the laypersons through the complications of divorce. The mediator understands the law and facilitates the filing of paperwork once participants have come to terms. An experienced mediator helps propel you through a divorce in the least complicated manner possible. When you engage a Chicago divorce mediator you retain control of your situation. You and your partner make the decisions regarding assets, debts, children, pets and insurance. You get to decide on the important issues of your private life without needing a court to determine who gets what. Before deciding to use a mediator and participate in an uncontested divorce, you need to understand a few things. First, an uncontested divorce might not be appropriate in certain cases. For instance, when there is an unbalanced power situation between the parties. This can occur in situations where domestic abuse factored in the relationship, when one partner makes significantly more money than the other party or when one or both spouses believes the other will engage in deception (such as hiding assets). In these situations, and others, you may determine you need your own attorney to look out for your interests only in divorce proceedings. 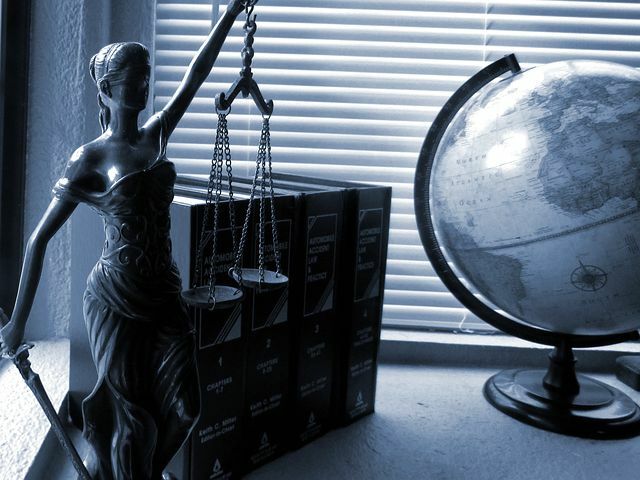 In these cases, you do not want to give up the rights an attorney can help you protect. You are not as restricted as those in contested cases when you engage in an uncontested divorce. You are not bound by court hearings but can schedule mediation sessions at times that work for you, your partner and the Chicago divorce mediator. While uncontested divorces are generally less expensive than those that are contested, you will still have to pay for forms and filings and/or the services of a mediator. This means you can pay several hundreds of dollars or more to dissolve your marriage. Legal document preparers and paralegals are not mediators. You can enlist the help of one of these persons, but they cannot provide you the same service as a professional mediator. A Chicago divorce mediator cannot dispense legal advice to you. He can, however, listen to each of you, educate you in regard to court proceedings and help draft divorce agreement. He can draft all the required documents to complete a divorce and aid in the filing of all legal forms. The mediator is not your or your spouse's legal representative. He must sustain a neutral position. Anyone involved in the mediation can withdraw at any time. This means you or your spouse or the professional mediator can opt out of the process at any time. Each person must participate voluntarily. Also, recognize that the divorce does not have to be completed as completely uncontested. If the spouses can agree on some issues but not others, a court can resolve whatever disputed issues remain after discussion and/or mediation. You can end mediation at any moment in favor of taking your matter to court. After you (with the help of a mediator) come to agreement on the issues in your divorce, there is still work left. Many people choose to take their divorce draft to an independent attorney to review. You should also consider talking with a financial advisor regarding the document. A qualified accountant can enlighten you on the tax implications that can occur following the divorce. Make modifications as needed to your agreement after consulting these professionals. Now, all that is left is filling the agreement and other legal documents necessary to complete your divorce. In most cases, you will not need to appear in court to finalize proceedings. You will have many questions and concern when facing divorce in your life. Do you want to know more about uncontested divorce and mediation. Please contact Split Simple today. We have the information and answers you need. Our Chicago divorce mediators can help you determine the course of action most suited to your situation. Count on us to accompany you at each step along the process, and to make it as simple as possible. Previous Post « What Happens to Your Kids in a Divorce? Who Should Get Them?